Stove manufacturer, Arada, has launched the new range of Stratford Ecoboiler High Efficiency (HE) models. This range of five freestanding and two inset models will be superseding the current Stratford TF and SEB20 boiler models. Offering a fully functional yet compact design, Stratford Ecoboiler HEs provide the solution to minimise dependency on existing heat sources. These wood and multifuel boiler stoves are economical, reliable and sustainable, offering an alternative to more traditional central heating systems. Conergy PowerPlus modules have shown a ‘surplus’ of 15% in efficiency during a real-life test in UK. Conergy installation partner Freewatt has recorded real life output figures over the past nine months from two separate domestic homes in similar locations: both have a total power of approximately 3.9 kilowatts, both are located in Lincolnshire, a 30º pitch and do not face any shaded areas. The test period, from October 2010 to July 2011, showed that Conergy PowerPlus panels produced 2,860 kilowatt hours compared to 2,495 kilowatt hours generated by the panels from another German module manufacturer – an output difference of 15% for the benefit of the Conergy premium modules. An average three-bedroomed home in the UK has an energy consumption of approximately 5,000 kilowatt hours per year. With the Conergy PowerPlus modules, home owners of a 4 kilowatt installation can cover 80% of their energy needs, whereas the competitor’s modules can cover only 70% of the total energy needs. A new generation of high performance air source heat pumps have been launched by Danfoss Heat Pumps. The new DHP-AQ heat pump range offers market-leading seasonal performance, thanks to a unique control system that constantly controls and optimises three key parameters in the product: airflow (efficient variable speed EC fan), the refrigerant circuit (electronic expansion valve), and heat distribution (OPTI technology). In combination, these create the ultimate in air/water heat pump efficiency, enabling DHP-AQ to perform perfectly at very low outdoor temperatures, keeping a property comfortably heated, as well as providing constant hot water. The new DHP-AQ air source heat pumps work well in the very coldest winters – even down to -20ºC continuing to deliver a consistently comfortable indoor environment and constant hot water, whatever the weather. This is possible because defrosting technology ensures the energy efficiency and full functionality of the heat pump even during a cold winter. DHP-AQ has been developed by Danfoss in Scandinavia. The new DHP-AQ heat pumps have been engineered to offer the lowest sound level on the market. They also offer a minimalist, contemporary, stylish design which means they are a subtle addition to the exterior of a building. Hanson UK’s latest brick guide has been developed to help builders, architects, developers and merchants choose the right brick for their project and make an informed decision on the most sustainable products available. It includes detailed information on the Hanson Ecostock range, and information on how the company has invested to ensure that sustainability is at the heart of its brick manufacturing processes. Details on Hanson’s Thermalite blocks are also included which can help specifiers and builders achieve all levels of the Code for Sustainable Homes and the guide also contains information on special shaped bricks as well as high quality chimney, ridge and clay products. The use of a high-end printing process throughout the guide ensures a realistic representation of the colour and texture of Hanson’s full range. 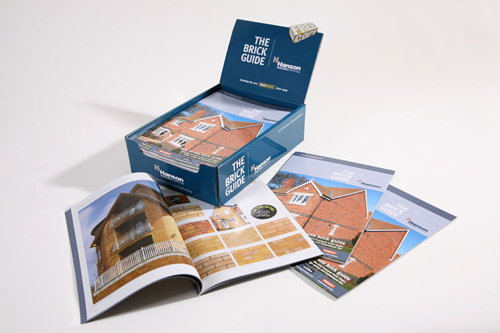 Hanson UK’s national marketing manager Paul Lacey said: “Our new brick guide is extremely user-friendly making it easy to choose the right brick for the job. We have also included information on achieving code levels under the Code for Sustainable Homes (CfSH’s) and design advice on meeting U-values for extensions with Hanson products. Hanson claims it was the first brick manufacturer to achieve BES 6001 Responsible Sourcing of Materials (RSM) certification for all products from its UK brick production sites and the guide contains all of the company’s extensive range of clay products and brands – Ecostock TM, Cradley, Red Bank and the original London brick. Permadoor has introduced a new brochure covering its range of composite and fire doors for housing, flats and outbuildings. The 16-page brochure contains full details of Permadoor’s high performance GRP and thermoplastic-faced composite doors, as well as information on the company’s growing range of independently tested Premier Fire doors. The brochure includes a quick reference U-value calculator to help specifiers meet energy efficiency requirements, together with a gallery of door styles for each range. 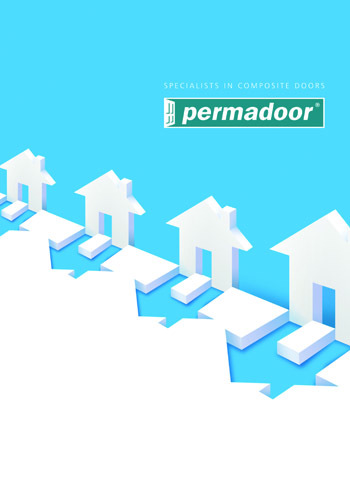 The original composite door manufacturer, Permadoor has supplied composite doors to the social housing sector for 21 years. The company’s GRP composite doors replicate the appearance of timber doorsets but offer low maintenance with high performance. Highly resistant to denting, warping and splitting, the doors are secure, durable and available with sustainable ECO options for lower U-values, improving the thermal insulation and with frames and cills made from recycled material. Permadoor’s Premier Fire doorsets offer 30 and 60 minutes fire resistance and have been successfully tested to BS476 (Parts 22 and 31). Available with GRP or thermoplastic facings, the fire doors are ideal for properties where Building Regulations require a fully approved FD30S fire doorset in flats, shared entrances and multiple entrance dwellings, for example. The Fully Sculptured Casement Window in white from Veka can now achieve a U-value of 0.8 using 44mm argon-filled sealed units, following further development from the industry-leading system supplier. The technically advanced system is widely chosen in some of the world's largest building projects as well as millions of private homes. Designed for those who want the look and feel of quality hardwood frames without the upkeep, the Matrix FS is an integrated PVCU window system that has set the benchmark in the industry. It's not just the Fully Sculptured that can achieve a low U-value, it has also recently been announced that the Veka Infinity suite of profiles can achieve a U-value of 0.8. The German Institute for Building Technology has approved Styrodur 3035 CS, Styrodur 4000 CS and Styrodur 5000 CS from BASF for double-layer installation in inverted roofs. BASF has proven that the double-layer installation of Styrodur C in the inverted roof is possible in terms of construction physics. This means that the inverted roof, which offers several advantages for flat roofs, can be applied to meet particularly stringent insulation requirements as well. Insulation material thicknesses up to 400mm are now permitted. Thus, future requirements for the insulation of inverted roofs can already be met today. An inverted roof is a flat-roof construction, in which the insulation material lies above the waterproofing, creating a layered structure that combines energy-efficient thermal insulation with long-term structural protection. This design is made possible because Styrodur C absorbs hardly any water due to its closed-cell foam structure and the foam skin on both sides. Styrodur C has been officially approved since 1978 for use in inverted roofs. Up to now, only the single-layer installation of extruded polystyrene was permitted in inverted roofs. The insulation panels for double-layer installation must be covered with a water-repellent and permeable separating layer in such a way that most of the rainwater runs permanently and securely off the surface. Thus, existing inverted roofs with single-layer insulation can be renovated so that they comply to modern insulation standards. They can be upgraded at low cost and under any weather conditions by supplementing the existing waterproofing and insulation by a second insulating layer of Styrodur C and by a separating layer. Also new buildings with particularly effective thermal insulation can now reap the benefits of the inverted roof and so comply to the latest energy consumption standards: in the inverted roof, the waterproofing is protected by the insulation layer against thermal and mechanical stress. So, the service life of the roof is considerably prolonged. Nationwide Windows has been accredited to IS14001. The ISO 14001 Environmental Management Standard recognises a company’s environmental processes and impact. It forms part of Nationwide Windows existing environmental policy and commitment to on-going improvement of its operation’s production efficiency and sustainability. Chris Costall, health, safety and environmental manager at window fabricator Nationwide said: “The benefits of pursuing ISO 14001 speak for themselves in terms of reducing energy consumption, waste and ultimately running costs, making better use of resources and raw materials makes both good environment and business sense for all. 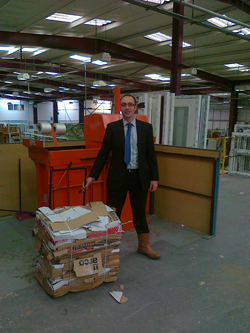 As part of the review, Nationwide Windows invested in a CK Waste Solutions twin-chamber baling machine to ensure none of its recyclable cardboard and polythene packaging waste ended up in landfill. CK Waste Solutions can visit your site and provide free impartial advice on how best to help your company become more environmentally friendly while saving money on ever increasing skip costs. Profile 22 has been shortlisted in the sustainability innovation category of the Sustainable Housing Awards 2011 for its low carbon BRE rated recycled window system Reco22. The fourth year in succession that the Epwin Group PVC-U windows systems company has achieved a short listing, Reco22 is manufactured solely from recycled material. Using just 6% of the CO2 in production when compared to profile manufactured using virgin material, the system secured a dedicated A+ rating across all domestic applications from the Building Research Establishment in February this year. This is a first and to date the only award of a dedicated A+ BRE rating for any window system in any material type. The system also boasts its own listing in the BRE’s Green Book Live. Achieving a U-value of as low as 0.8W/m2K, Reco22 also delivers significant energy and by implication CO2 savings in life. Andrew Reid, commercial sales development director, Profile 22 said: “We have a window that in using recycled profile dramatically cuts the CO2 used in production and by combining recycled content with advanced thermal performance will help cut CO2 during its service life. The Sustainable Housing Awards, organised by Inside Housing magazine and its sister publication Sustainable Housing, focus on the best green social housing projects and innovations. Last year nearly 600 people attended the event, which was hosted by comedian Mark Watson, and in 2009 Jon Snow was the master of ceremonies. Totalight is giving away its new ‘next generation’ dimmable LED lamps in return for a share of the energy savings that they create. These new lights replace energy hungry 50W GU10 halogens and match them with the latest dimmable capability, yet are powered by just 5.3 watts of electricity. The power saving is considerable, claims Totalight and this is how the company recoups the initial outlay for the lamps, as an alternative to a traditional outright purchase. To agree the payback, those receiving the lamps disclose the pence per kilowatt of electricity that they are paying and agree the average hours of daily usage. Using these figures, Totalight calculates and agrees a percentage share of the recipient’s future savings. This is then payable on receipt of energy bills over a two-year period, ensuring that from the moment the lamps are installed the recipient is achieving energy savings with no initial cost. After two years, full ownership is transferred to the recipient, who then receives all ongoing energy savings. An example organisation replacing 1,000 halogen lamps for Totalight LEDs would save about 90% on their energy bills, cutting £11,000 off each year. In this example the money saving is enhanced by carbon output savings of 41 metric tons per year. 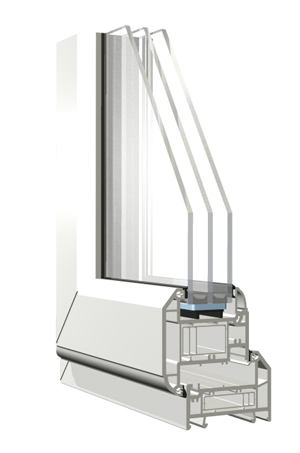 The new Infinity Window System from Veka can achieve a U-value of just 0.80 W/m²K, following stringent testing on the recycled window system. 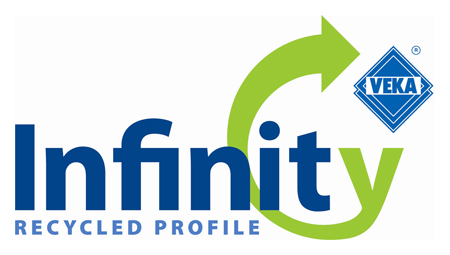 The Infinity system contains up to 80% recycled material, and its co-extrusion means that all external surfaces are virgin polymer, therefore colour-stable and free from lead-based additives. The Infinity system, launched last year is an entirely co-extruded system comprising ten window and door profiles, all fully compatible with the existing Matrix 70 system. The U-value of 0.80 W/m²K is achieved using glass units filled with argon gas, and not krypton. EcoSheet is a new panel, produced in Luton by 2K Manufacturing, and is made entirely from waste plastic. The UK currently landfills over 4.5m tonnes of plastic every year, with only a small fraction ever being recycled. EcoSheet’s waterproof durability make it suitable for wide ranging applications across many industries. 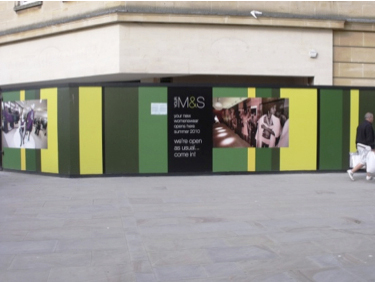 One prominent usage is in construction site hoarding, with many leading companies such as Willmott Dixon, Miller Construction, Morgan Sindall and Wates all using the product, and national framework agreements with Lend Lease, The Apollo Group, ISG Pearce and ASDA. EcoSheet also works well in fabrication, meaning it can be turned into everything from desks to exhibition stands to animal houses. Innovative companies are taking this pioneering material into many new areas. 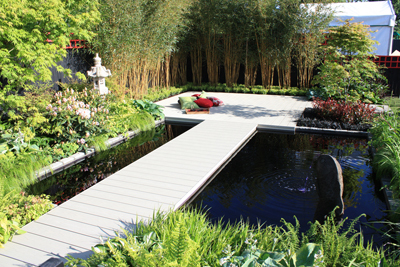 EcoSheet can currently be seen on the Gold Medal winning World Vision Garden at Hampton Court or, less exotically, on a number of construction sites in the form of hoarding. Window installers looking for a cost effective way of meeting demand for energy efficient windows can now choose WER A rated windows with a U-value of just 0.8 from Clydebank based Enviro Windows and Doors. The new EnviroFusion window is fabricated by Belfast based Dessian Products. It is based around a slim-line Rehau 70mm frame, transom and sash with thermal insert and a triple glazed, Krypton filled sealed unit fitted by Enviro Glass. Trade manager Tommy Girvan said: “The frames are designed to compete with standard A rated windows which typically have a U-value of around 1.4W/m2K, so they give installers a significant competitive advantage with only a marginal price difference. “They are ideal for the new build private and social housing markets where specifications increasingly demand high performance, energy efficient windows and for the replacement market where consumers want an A-rated frame with the added advantage of exceptional sound insulation. The EnviroGlass sealed units overcome the problems of visual distortion and multiple reflections sometimes experienced with triple glazed sealed units by using Diamante glass for the central pane. They are also Krypton rather than Argon filled which achieves higher thermal performance. 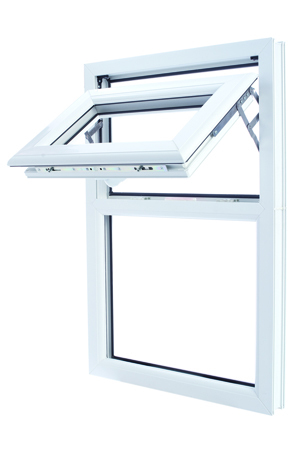 The EnviroFusion window has been fully certified by Certass and come with a full 10 year warranty. 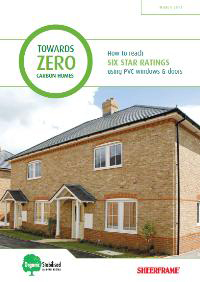 UK building systems company The Litchfield Group has launched an updated version of its brochure detailing how six star ratings under the code for sustainable homes can be achieved using Sheerframe windows and doors. The eight-page guide provides advice to housebuilders, social housing providers and private homeowners. It outlines the government’s policy on reducing carbon emissions and explains how buildings can gather points towards star ratings under the nine identified design categories. Because Sheerframe windows and doors deliver excellent weather tightness and energy performance they can be central towards the achievement of a zero carbon ratings, which requires a category six under the energy element in the code for sustainable homes. In the 4th edition of the Green Guide to Specification published by the BRE Sheerframe PVC frames perform to A and A+ levels, the highest attainable. Sheerframe windows have featured alongside other Litchfield Group components – ICF Tech walls and Masterdor doors – in a range of landmark developments including the acclaimed Code Level 5 social and private housing development at Brookwood Farm in Woking. Verbatim has launched seven new additions to its range of energy-saving LED lamps. The lamps, which have a service life of up to 35,000 hours, provide between 70% and 85% energy savings over conventional types of comparable light output. They are designed as direct replacements for incandescent light bulbs, halogen lamps and compact fluoresecent lamps (CFLs) in general purpose lighting. Five of the new products are spotlights with GU10 sockets. These operate from a 200-240VAC grid supply. They have power ratings between 4W and 8W and replace conventional lamps rated from 20W to 60W. Colour temperatures range from 2700K warm white to 5300K cool white and the minimum colour rendering index (CRI) of these lamps is between 75 and 80, depending on the model. A new MR16 spotlight with a GU5.3 socket operates from 12VAC or DC. The 6.5W lamp can be used to replace 20W conventional types and has a lifetime of 35,000 hours. It offers cools white light at 4200K and has a minimum CRI of 75. With an E27 (screw type) fitting, Verbatim's new R63 8W spotlight is the most powerful of the new solid state LED lamps. It replaces conventional lamps rated at 60W, providing energy savings of over 80%. Like the MR16 lamps, its CRI is at least 75, service life is 35,000 hours and the lamp is dimmable. With the exception of two 5.5W GU10 models, all the new lamps are dimmable. All Verbatim LED lamps are based on phosphor coatings applied to blue LEDs. This creates a broad spectrum of white light. Lenses within the fixtures focus the light and built-in electrical circuits drive the LEDs efficiently, enabling initial costs to be recovered through energy savings and the exceptionally long service life of the lamps. In Europe, lighting in homes and businesses accounts for about 20% of all electricity consumption, so conversion to LED lighting has a significant impact on enegy usage and carbon footprint. Unlike CFLs, which contain mercury, LED lamps do not contain hazardous materials. Verbatim LED lamps are available through major electrical wholesalers and retailers. Suggested retail prices start at £15.70 each, depending on the type. Web Dynamics, manufacturer of the TLX range of multi-foil insulation, has appointed two regional specification managers to deliver a better understanding of how multi-foils can help improve the thermal performance of the UK’s housing stock. Anna Williamson and Dare Oduye have been appointed to create greater awareness and understanding, at a project’s design stage, of the applications and benefits multi-foil insulation can deliver. Working with architects, specifiers, contractors, procurement managers, LABC and conservation and heritage officers, Anna and Dare will deliver technical and CPD presentations across the UK. The presentations will focus upon issues with current housing stock, changes to Part L and ways of improving insulation to achieve better U-values and air tightness without condensation risk. They will also highlight the points of difference and applications for Web Dynamics’ product portfolio. Anna Williamson (35) is a qualified architectural technologist with ten years on-site knowledge and experience as a private developer. Anna has a remit to work across the north of England. Anna said: “This is a fantastic opportunity. I have been passionate about the renovation and refurbishment of older properties for many years and there is a definite need for more understanding of multi-foils and their place in new and existing build upgrades. Dare Oduye, 24, regional specification manager for the south of England has a background in architecture and architectural engineering and a holistic appreciation of sustainable building design principles, having been involved in a range of high profile projects. Prior to joining Web Dynamics, Dare also spent two years working as a technical advisor for a major manufacturer of PIR rigid board insulation, responsible for liaising with consultants, technical designers and architects on specific applications of the product range. Delivering a lambda value of 0.021 W/mK, Celotex’s new premium performance insulation has achieved an ‘A+’ rating when compared to the BRE Green Guide 2008, British Board of Agrément Validation and Class O fire performance. 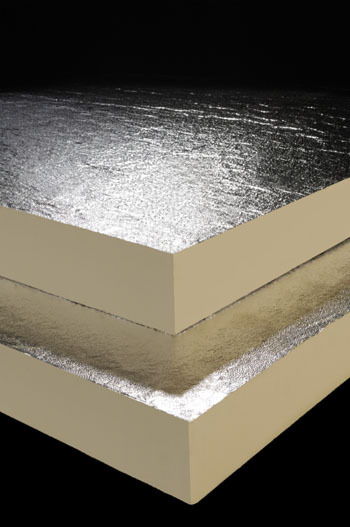 The foil faced polyisocyanurate (PIR) FR5000 board has been developed specifically for use in pitched roofs, floors and walls. The newly achieved 0.021 W/mK lambda value means that FR5000 can now offer even better U-values. This will allow specifiers to opt for thinner insulation solutions to meet these requirements, improving useable space and reducing material costs. Likewise, for schemes where the utmost degree of insulation is required, enhanced targets can be met with minimal profile thickness. FR5000 is not affected when exposed to moisture, and it is substantially lighter than these types of products leading to ease of on-site handling and less weight of any waste material to dispose of. FR5000 also offers a Class O fire rating; the first PIR board with this accreditation. The classification applies across the entire product, not just the foam core. A solar shading system has been launched by Kawneer. The AA130 Brise Soleil system optimises natural daylight within the building and limits solar heat gain and glare for its users. Kawneer’s new AA130 Brise Soleil system can suite with the company’s 50mm AA100, 65mm AA110 and unitised AA201 curtain walling systems, 451PT and AA4001 framing systems, and AA600TE (thermally enhanced) and AA600TEPlu window series. It comprises a range of extruded aluminium blades in a variety of shapes (aerofoil and quarter round), sizes (100mm to 400mm), spans (up to a maximum of 6,400mm) and colours (130 standard and 31 metallic, guaranteed for up to 30 years) to suit any project – residential, commercial, education or healthcare – where solar heat and glare is a factor. Horizontal single-blade options give three angles up to 45º while the horizontal outrigger and multiple blade options give three reaches up to 2,000mm to give design flexibility for specifiers looking for natural over mechanical ventilation, and glazing systems and brise soleil from a single manufacturer. Integration with Kawneer’s curtain walling, framing and window systems is achieved using specially-designed connection brackets, intended to offer ease of installation on even the most demanding projects. 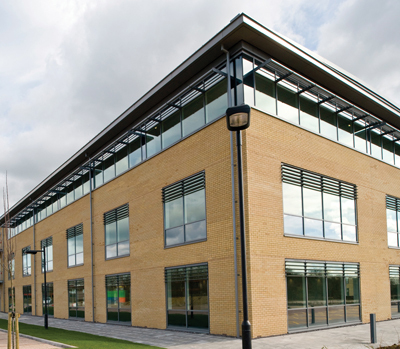 All elements of Kawneer’s AA130 Brise Soleil system – blades, brackets, outriggers, supporting arms and facade connections – are sustainable as they are manufactured from recycled aluminium billets and can themselves be recycled. Soon to accompany the new AA130 Brise Soleil system is Solector – new solar shading software that can estimate energy cost savings on an annual basis for initial design consideration. These are calculated based on the solar heat gain avoided due to the Brise Soleil and are expressed as a saving in cooling costs. Both new-build and refurbishment projects can benefit from the Insulating Laminate range of boards developed by Knauf Drywall, which cut carbon emissions and save energy. 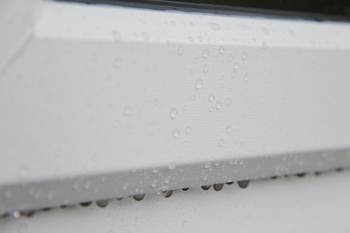 The boards also reduce costs through enabling installers to dryline and insulate a property in one operation, which saves time on new-build projects particularly. The improvement to the thermal performance of both walls and roofs results in a rapid payback for the householder, with energy savings of up to £400 a year for the average dwelling. The range is particularly useful in raising inefficient buildings to modern standards – such as the highest Code Levels for Sustainable Housing – while reducing carbon emissions, making it is ideal for conservation areas where the traditional building facade must be maintained or where design restrictions mean the developer must use traditional methods on new build projects. Customers can also use boards in the range to deal with warm roofs simply and effectively by dry-lining their lofts – and perhaps gaining more living space as a result. Installing these boards will improve sound insulation and air tightness in dwellings as well as reducing CO2 emissions by up to 2 tonnes a year in a properly insulated solid wall house. 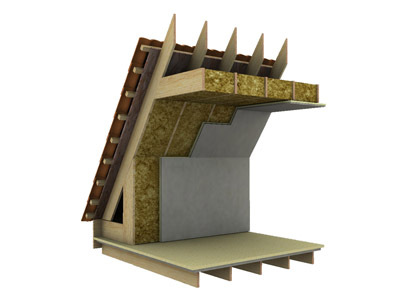 The four boards in the range include: Knauf Thermal Laminate, a polystyrene board with a thermal conductivity of 0.037 (W/mK); Knauf Thermal Laminate (Vapour Check) which has an added layer to reduce the risk of condensation while upgrading thermal insulation; Knauf Thermal Plus, an extruded polystyrene board with the additional benefit of good vapour management; and Knauf Thermal Laminate PIR, a Polyisocyanurate board with a thermal conductivity of just 0.022 (W/mK). New to the market and now in bar length from Fitrite Fencing and Decking, Fitrite eco-board is easy to install and maintain and generates nearly 80% less CO2 emissions per ton of product during manufacturing. Fitrite eco-board is wood-free and guaranteed not to rot or decay, therefore eliminating the time-consuming and costly process of sanding and treating, limiting the use of toxic chemicals such as paint and varnish. Fitrite eco-board contains 85% recycled content and is also 100% recyclable. It is also manufactured in the UK. It also comes with accessories including the recently launched natural oak balustrade, and a selection of ambient lighting. 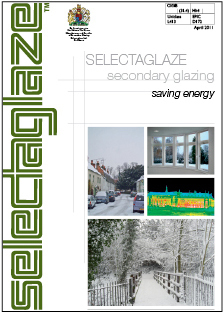 Selectaglaze has launched a new guidance note on the ability of secondary glazing to improve a building’s energy performance. This is aimed at building owners and managers who want to reduce energy usage and so manage costs and environmental impacts. A new comprehensive product guide demonstrates the range and diversity of styles available together with technical information, detailed drawings and photography. The range of 22 products includes multiple options for horizontal and vertical sliding, hinged, lift-out and fixed units. These options cover simple energy saving, high performance acoustics and a Secured by Design security range offering resistance against intruders and blast. A notable addition to the ‘Saving Energy’ range is the Series 47 Heritage Casement which can fit neatly into the staff bead of most traditional sash windows. It is discrete and unobtrusive and the use of low emissivity glass provides very good levels of insulation. The two new publications are free upon request or can be downloaded from the library of information which includes guidance notes, CAD and NBS files. The launch of these two publications comes in a year which sees the company celebrate its 45th anniversary and move into new purpose-designed factory and office premises in St Albans.